According to the Population Reference Bureau, there are approximately 101 billion dead people on earth with 7 billion more to join them within the next century. 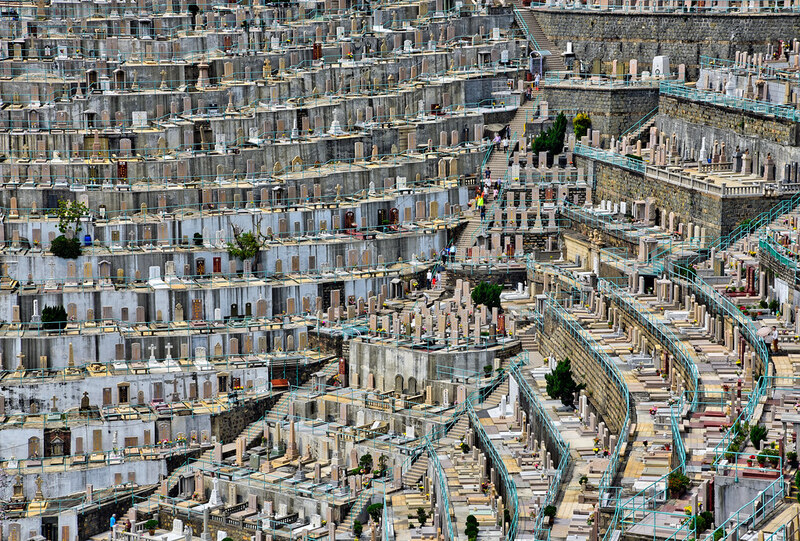 With the dead far outnumbering the living, it’s no surprising that space at cemeteries has become premium. Many European countries have been reusing graves for centuries. In the Old Jewish Cemetery in Prague, when space runs out, a fresh layer of soil is laid out on top of the existing graves to make room for new bodies. When the last burial took place there in 1787, there were already twelve layers of graves stacked on top of each other. In Norway, instead of piling up dead bodies in layers, old graves are dug up every two decades, which authorities hope is time sufficient for the bodies to decompose. Some graveyards would even inject coffins with a solution of limestone to accelerate decomposition. Norway isn’t alone in this. England is quickly running out of burial plots, and one study calculated that if burials remain as popular in 2050 as is today, the world will require 6,500 sq km—an area more than five times the size of New York City. So many countries are looking towards the sky rather than towards the ground for a solution to their problem. 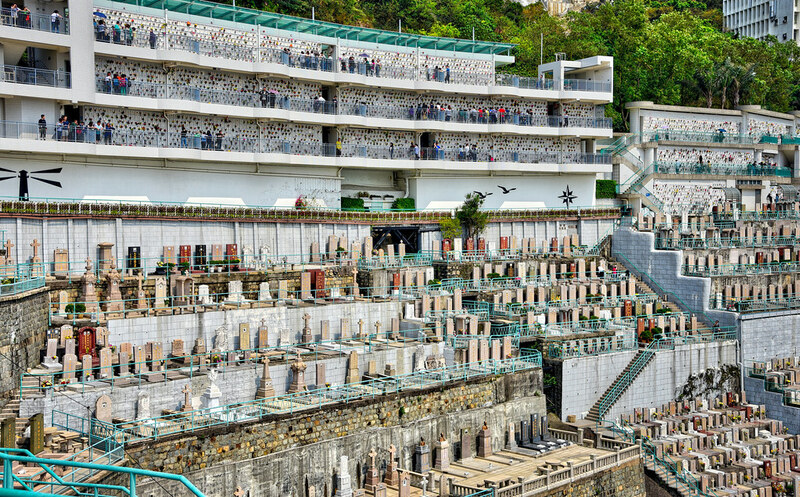 Asia is currently leading the trend in vertical cemeteries. In many Asian cultures, there’s already a tradition of burying the dead in multi-storey pagodas. This might have influenced the design of the high-rise pagoda-like cemetery in Tainan, Taiwan, that goes by the name of the Lung Yen Life Service. 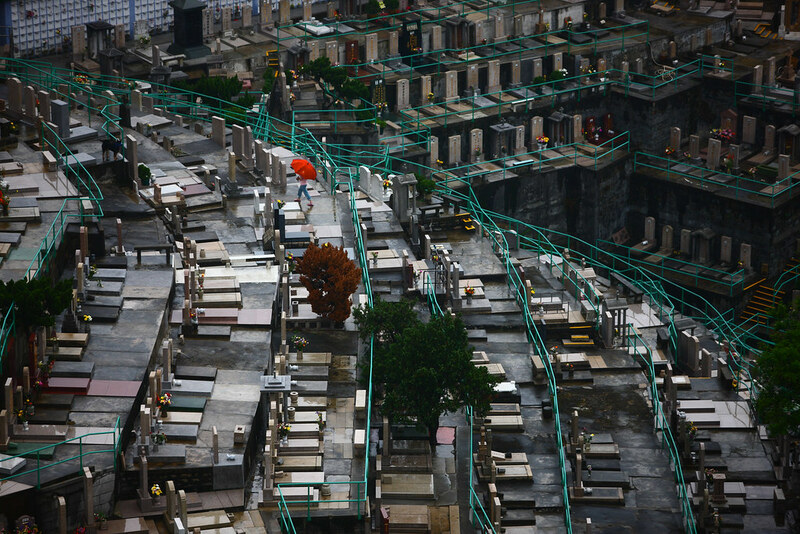 In Hong Kong, cemeteries are often built on hill slopes to save space. 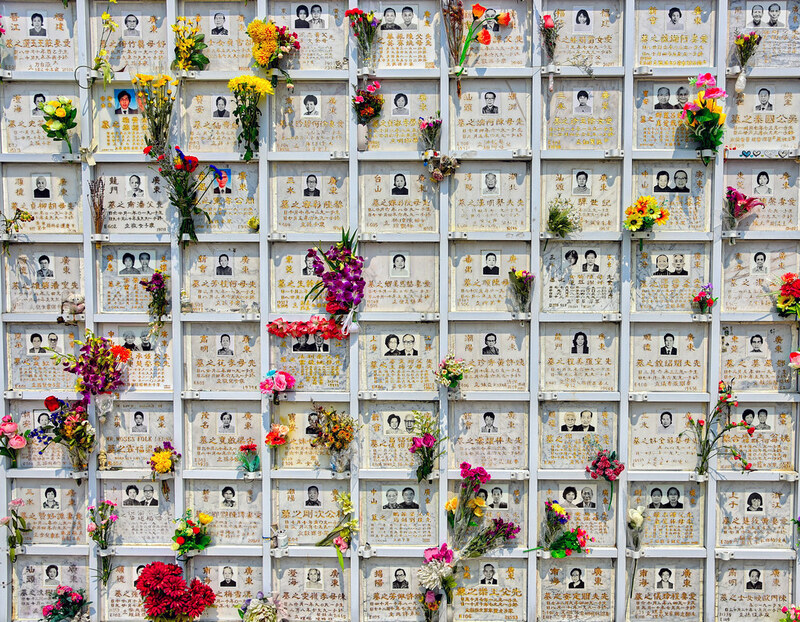 In Japan, one businessman have even opened a hotel for the dead where bereaved families can temporarily keep the dead bodies while they wait their turn in the queue for one of the city's overworked crematoriums. A true vertical cemetery is the Memorial Necrópole Ecumênica in Santos, Brazil. As of now, it’s 32 stories high and has space to house the the remains of 25,000 people. When it was built in 1983, it was only a small building, but the demand for above-ground “tombs with a view” was so great that they kept adding extra floors until it became the tallest cemetery in the world. Each floor contains 150 tombs equipped with a sophisticated ventilation system and can accommodate up to six bodies. Once the body has decomposed, which usually takes about three years, the family of the deceased can have the body exhumed or transferred to the building’s ossuary. Aside from tombs, the building has wake rooms, crypts, mausoleums, a chapel and snack bar on the roof. The building is surrounded by beautiful gardens, a woodland, a lagoon and a waterfall. Tel Aviv is also building a new high-rise in the Yarkon Cemetery that has space for 250,000 burials. In order not to offend ultra-orthodox Jews, the building towers contain pipes filled with dirt, so that each layer is still connected to the ground. Currently undergoing construction in Mumbai is another vertical cemetery. This futuristic-looking high-rise named the Moksha tower will be the world’s tallest cemetery, outranking the Memorial Necrópole Ecumênica in Brazil, when completed. The Moksha tower will provide facilities for both cremation and burial, as well as a tower of silence for the Parsis located on the roof of the tower.